Sixty-six cents was all it took in 1801 to purchase about one acre of land upon which the first significant building in the Hurlock area was built. The Washington Chapel was constructed in a grove of trees adjacent to town limits. After the Delaware Railroad built a station in 1867, in what is now Hurlock, and John M. Hurlock built a storehouse and his residence close by, the Washington Chapel congregation in 1888 combined with two others to erect a new church within the Hurlock community – the Washington Methodist Church. But it was not until 1890, when the Baltimore, Chesapeake and Atlantic (BC&A) Railroad intersected the Delaware Railroad in Hurlock, that the town really started to grow. Today, Hurlock is home to several industries and businesses related to food and poultry products, trucking, and manufacturing including: Amick Farms, B&G Foods and Perdue. In 1987 the fully serviced Industrial Park was established on 97 acres owned by the town. The entire Industrial Park was designated as a State Enterprise Zone in 1989, providing substantial tax incentives to new industries meeting certain qualifying criteria. 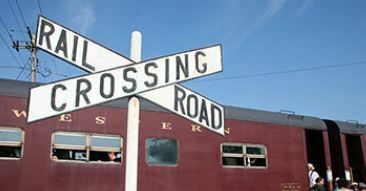 Hurlock has maintained not only the industrial and commercial significance bestowed by its railroad presence, but also the community spirit first exhibited with the construction of the Washington Chapel. Hurlock has numerous churches representing a variety of denominations. The Hurlock Free Library, which is the oldest library on the Eastern Shore of Maryland and the second oldest in the state, originated in the Hurlock home of Henry Walworth in 1900. The town’s community spirit is most evident at the Hurlock Fall Festival, held on the first Saturday of October. 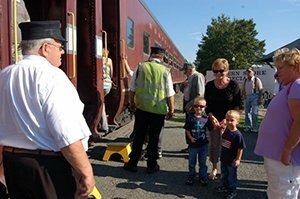 Initiated during the town’s Centennial celebration in 1992, the Fall Festival offers a full day of events – a kick-off parade, crafts, flea markets, food, family activities, and train rides. The train station that serves as the central location of the Festival. The town refurbished the station with public and private funds in a design based on the first station built in Hurlock in 1867. The town also owns two passenger cars that are used to provide train rides during the event. This article originally appeared online on VisitDorchester.org and is reproduced here courtesy of the Dorchester County Office of Tourism.